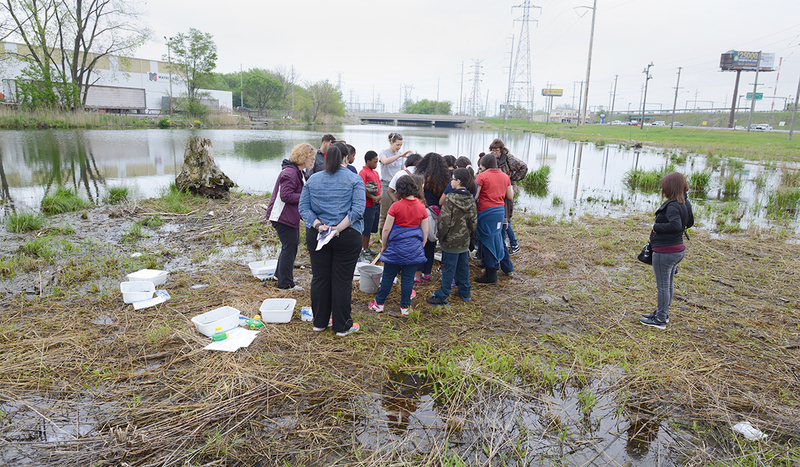 On the morning of May 18, 2017, local, state, and federal organizations are coming together to host “Grand Calumet River Stewardship Day” at Seidner Dune and Swale Nature Preserve and Seidner Marsh in Hammond, Indiana. A number of scientists will be on hand to turn a restored natural resource into a learning environment for local students with science stewardship stations like macroinvertebrate sampling and fish identification. Please consider this opportunity to take your students outside, explore nature near your school, and promote scientific literacy – with funding. We invite all teachers to apply to have their class attend this amazing 2-hour outdoor laboratory opportunity. Three successful applicants will be selected to attend the event with their class and receive bus funding, two Carolina water quality test kits, and a $100 stipend toward environmental supplies for the classroom. Applications will be accepted until March 17, 2016.  Please contact IISG Environmental Social Scientist Contact Caitie Nigrelli at cmccoy2@illinois.edu with any questions. 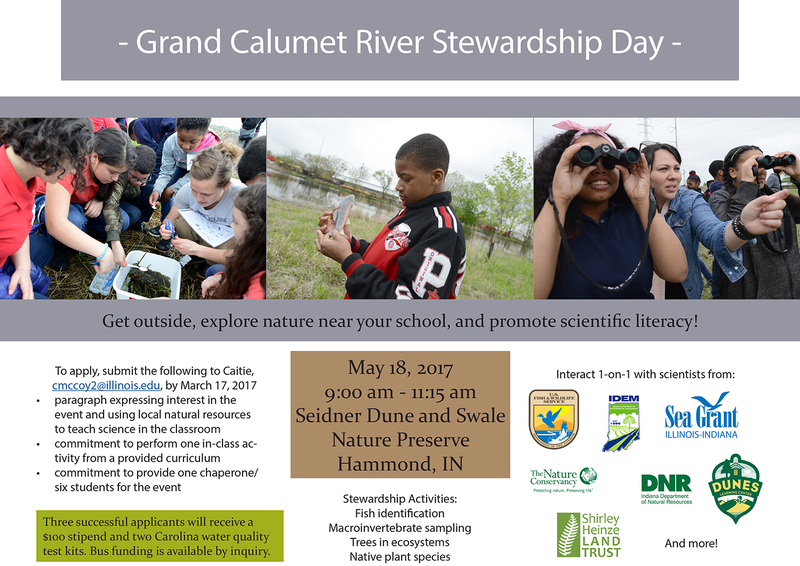 Find out more by checking out last year’s story, Grand Calumet Day welcomes the newest stewards.